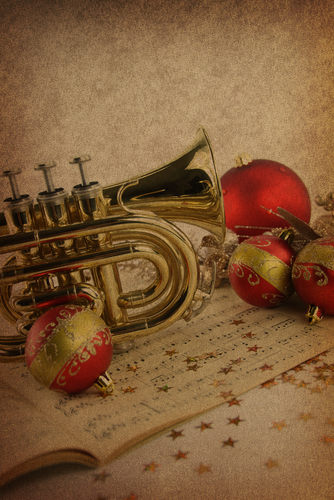 Following the lead of our friends at The Jesuit Post, the editors offer a playlist of their favorite Christmas songs. You can access each song via Spotify below, or listen to the whole playlist here. James Martin, S.J., Editor at large: My all-time favorite Christmas hymn is “Good King Wenceslas.” I’ll be more specific: “Good King Wenceslas” sung by The Roches. I first heard it over 25 years ago, and was bowled over by the clear recitation of the lyrics. And when I heard the line “Ye who now shall bless the poor, shall yourselves find blessing,” it dawned on me that this wasn’t a sappy song about a mythical king, but a vivid song about justice, charity and love. Kevin Clarke, News Editor & Chief Correspondent: I am a big fan of the “The Wexford Carol,” especially the version recorded by the Chieftains with Nanci Griffith. The song is not only lyrically and melodically gorgeous, it also conceals a rarely heard perspective, that of the shepherds themselves who come forward as protagonists in the nativity story—the lowly called upon to step up to fulfill their role in preparing the way of the lord. Luke Hansen, Associate Editor:“O Holy Night.” The worth of the human person, the thrill of hope, the liberation of the enslaved, the end of oppression—the tradition’s prophetic vision and its fulfillment in Christ come together in this beautiful classic. Joseph McAuley, Assistant Editor: “The Littlest Angel” by Bing Crosby. For me, Christmas music will always mean one voice: Bing Crosby (with Dean Martin a very close second). Even in childhood, I sensed that Bing’s voice conveyed warmth and reassurance (and not a little fun) that somehow things would turn out all right. And in a sense, isn’t that the essence of Christmas, that the Savior comes to be with us—and stay with us—for all the times, good and bad? That seemed to be what all the joyful Christmas music meant; and no voice conveyed that better than Bing. Tim Reidy, Executive Editor: “White Christmas” isn’t a Christian hymn, but the sheer joy The Drifters bring to their 1955 version of the Christmas classic always makes me smile, especially the inimitable crooning of tenor Clyde McPhatter. Kerry Weber, Managing Editor:“Have Yourself A Merry Little Christmas.” I like the way in which the song works to hold in balance the tension between the way things are and they way they will be. We don’t know what the future holds, but we can make the best of our current situation. Even if it seems if all we can do is “muddle through somehow,” we hold out hope and wait for the light.